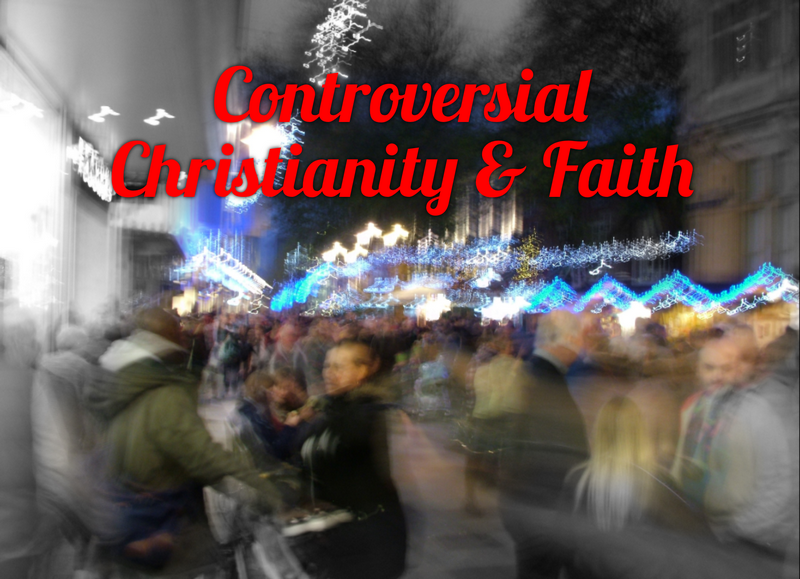 Controversial Christianity & Faith: What Happened to Grassroots Democracy, Anyway? What Happened to Grassroots Democracy, Anyway? Our democracy has been replaced by a kind of Orwellian reality of ‘everything’s fine’ or ‘it’s getting better although it always seems to be bad’ or ‘war is peace’, which actually was out George Orwell’s telling novel 1984, which strangely enough is the only book of his I could never read. I like Orwell. He came from the lower end of an upper class family, but had the courage to admit his early prejudices, took a bullet in the neck for his beliefs when fighting against the Fascists in Spain, and ultimately examined his support for Communism and his disillusionment with it, through the well crafted political fable Animal Farm, a book many people love. Above the fact he was, in my opinion, an incredibly gifted writer and had the ability to make people want to read on, he was incredibly, almost brutally, honest. I believe that’s what made his name in the UK and the US, where talent is almost always recognised, and also around the world. He was honest, and had the courage of his convictions and also had the courage, rare amongst public figures and most people for that matter, of admitting when he was wrong or had been wrong. He is one of my heroes, and the first writer I read that made me want to write. So now you know who to blame. The 20th century was filled with emotional turmoil, incredible upheaval, enormous social change and a number of international wars that were the worst the world has ever experienced. At the end of the 2nd World War, the British public voted overwhelmingly for the left wing Labour party, even though Winston Churchill had saw us through the war with those amazing speeches that still electrify people today. He was, above all, an old school aristocrat, a fighter, a man not given to mincing words nor being polite, which is why the British public at large loved him and why Americans liked him, too. He was the ‘British Bulldog’ breed, the type that built the empire, fought battles, explored the world and believed in something, even if that something was merely an empire that enriched British people, and diminished the lives of many other people. Some people like to view the British Empire and its period in history, through the fog of nostalgia and sentiment, but I don’t. It’s part of history and that’s where it should stay. But for all that, we had some kind of common purpose, and not all those empire builders, explorers, Christian missionaries, traders and soldiers and many others besides were people with evil intentions, just people trying to get on with their lives and build a future for themselves and their families. There seems to be no characters anymore. We have all settled for a bland society, little originality and ironically the deep fear that instead of being unique and wonderful, we are just ordinary. Heaven forbid anyone should be ordinary today. No, you gotta show ‘em you’re unique, different, special, with a vision totally your own...just like everyone else. In the desire to be ‘different’, everyone just ends up the same, big dreams of being rich, famous or just a life that is vindicated and above everyone else who didn’t quite make it. Such a society is usually vacuous, with few values or real appreciation of talent, only a mad desire to be noticed. The war of all against all, with a sheen of politeness and respectability on top... sometimes. Grassroots democracy does not exist in the West anymore. It’s rather frowned upon that ordinary people with ordinary concerns are heard. They’ve got to be the voices of the extreme, or the concerns of the great, the good, the wealthy and the connected. The ordinary working class person, in the broadest sense of that term, are not heard anymore, are not represented in politics or the media or business anymore, except the occasional person who gets through. But, by and large, I think that in Britain and by the looks of it Western Europe and America, has completely abandoned the idea of grassroots democracy. 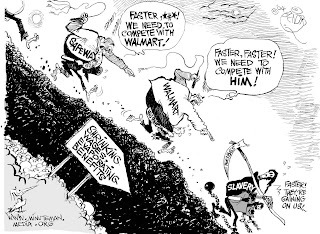 This accompanies neo liberal policies that give major tax breaks to the wealthy, big business and corporations and the media promoted propaganda, which it is, that again and again the concentration of wealth and power and influence should be for those at the top of society, as they create the jobs and wealth eventually trickles down. Which it doesn’t, as all we see everywhere is the rich getting richer and the poor getting poorer. Should a Christian really be writing about such things? Shouldn’t we be above politics, above the way the world is, knowing that outside God’s purpose and God’s Kingdom all is lost? Worrying about rich people getting richer at the expense of the poor? Surely we know this anyway? Isn’t the world a deeply unfair place, and hasn’t it always been? Well, yes, to all of the above. I don’t get angry about the way the world is anymore, but I believe that we have a right and even a duty to speak out against policies from governments that have abandoned concern for governing the majority of people, to making laws that benefit the already wealthy and powerful, particularly when it is at the expense of the poor. Ask yourself an honest question: who would Jesus go to and show compassion and mercy for? Who did He come to when He came down to earth 2000 years ago? Very recently, we have just seen the exposing of the rich in the tax haven of Panama, and side by side this in the UK we also saw in the yearly budget from George Osborne, the chancellor of the exchequer, an attempt to take about £4.4 billion (about $6.6 billion) of welfare from disabled people and give it in tax breaks to middle income earners and the very wealthiest. It was challenged and stopped by one of the governments own ministers, Ian Duncan Smith, who resigned saying it was unfair on the poor. I don’t believe that was for compassionate reasons, but for political reasons due to the In/Out Europe campaign. But that is another story. It stopped this typical but very unfair part of this budget being implemented from the Conservative run government, but it showed them up for what they are and what they must believe. That is, that redistribution of wealth from the poorest to the richest is not only acceptable but to be carried out almost defiantly, as if what is happening is right and nothing but right, yet at the same that it is also wrong, we know it’s wrong and wrong is now somehow right. This is not a party political broadcast, I am primarily talking about morality. All over the world the rich, the powerful, the political, social, corporate and in some cases even religious elites are getting richer and more powerful and becoming dangerously unaccountable to the people they are supposed to serve. In the neo liberal capitalist agenda, the ‘free’ market overrides every and any consideration, the only motive being the profit motive. That’s business, I suppose, but when people become collateral in the ambitions of the very rich, and when politicians and the media go along with it or play it down, and the law turns a blind eye to it but crushes the people at the bottom of the economic pecking order, and more worryingly Christian morality and God’s laws are being completely ignored and flouted, the danger is that when God’s laws are broken purposely and arrogantly in one sphere of human activity, it tends to follow that people start to do what they like in other spheres. 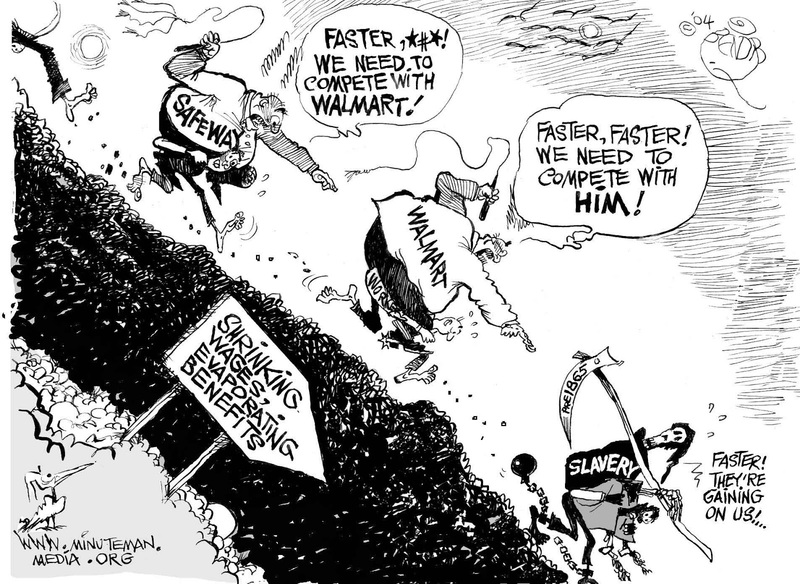 The race to the bottom economically, whereby the lowest paid workers in all economies of the world are forced to compete sometimes in desperation with other people for low paid dead end and insecure employment which is usually temporary and zero hours contracts with few if any benefits, is one such example. It’s seen from the employer’s point of view that low wage jobs are necessary for successful businesses, but for the people doing those jobs, there may be a very different perspective. I know; I have done a number of them. What’s telling is that when there is a race to the bottom economically, there is also a race to the bottom morally, too, where anything goes. The love of money, and its worship as a false god, is indeed a root of all evil. Look at our democracies now, and honestly appraise them without sensation. They are not in good shape. It may get worse. What is becoming obvious, and then some people start wondering why society gets worse socially, morally, a rise in crime, homelessness, mental health issues, rising drink and drug abuse and a general breakdown in community and the social contract, is that no one really cares about anybody anymore. Sorry to be negative, but if people really cared about others something would be done about the growing wealth divide, the many millions of people in the wealthy western countries, never mind the poor in the rest of the world, who are either struggling in poverty in or out of work, and getting poorer when the rich are getting richer. Is there a correlation between the two? I’ll leave you to think on that for yourself. As Western nations in general have got much wealthier, and there is a mass of consumer goods and supermarkets full of cheap food and groceries of all kinds, and Amazon and this coffee chain and that coffee chain and all the material goods anyone could ever wish for, we have deteriorated spiritually and morally. Sound familiar? There is also a silence in the mainstream media on the growing demonization of the poor and the harsh economic policies, which I would say are beginning to look like a kind of fascism, being imposed on those who are either already poor and marginalised, or those desperately trying to escape poverty through hard work and education. The attacks seem far more linked to ideology than any real need for austerity. If they can pay CEOs sometimes $20,000,000 or more for a year’s work, why can’t ordinary people be paid a decent living wage? We’ve had a redistribution of wealth from the poor to the rich for over thirty years, now perhaps it’s time that was reversed. And forget about the politics, I’m talking about economics, social justice and good old fashioned fair play. I appeal to those with wealth and those in political power or have influence to listen and consider carefully what I have to say here. When you die, you may die wealthy, cash rich and have business interests and own properties here, there and everywhere. It won’t matter though. It literally will not save you. And then you have to meet your Maker. Literally. How have you made your money, by the way? How did you become so rich so quickly? All your own hard work, talent and sacrifice? Or someone else’s? I know this will fall on deaf ears, but you can’t now say you haven’t been warned. And I say to those struggling, those in poverty, those who are really despairing deeply at this present time under whatever maybe desperately tough and even crushing circumstances you may be going through, that you are not alone. I’m not talking about the cold comfort that there are millions of other people like you all over the world going through the same circumstances, although that is certainly true these days, but the fact that we have a God that hears us, loves us and wants the best for us. No kidding. The world system always opposes God and His justice, but He overcame the world. There will be justice even if we have to wait for it. Please call out to God if you are suffering. I don’t say this lightly or tritely. I have called out to God, even shouted out to, and even at, God, many times when I have been at very low ebbs in my life, and He has heard me. I prayed for Iain Duncan Smith, in the way we are supposed to pray for those in power, and a few days later he resigned. Interesting, at least. Perhaps praying for those in power who are decent and fair, or even those unfair and divisive, is a good thing. Tim this is a beautiful post, and I do not believe it will 'fall on deaf ears'. I have always believed in absolute honesty, and I believe this is what you are doing here. I also believe that when we are Christian and speaking what we feel, then very often that is what is meant to be said - it is not hypocrisy, especially when it involves what the scriptures point out is happening in the world. There is also much hypocrisy in the church, as in those who are in a position to change things according to what is just, do nothing at all. Instead they quite often please others and themselves, but do not please God. Thanks Brenda. You are a kindred spirit. I hope you are feeling better now Tim. Praise God that He is still on the throne, no matter who may be in power in the political system. Praise God that Christ gives the victory! Another well written post, Tim. 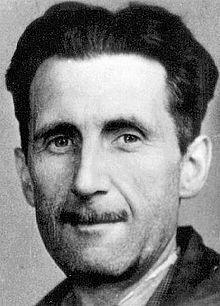 I liked Orwell as well when I was a child, though I didn't know who he was per se', I did know about Animal Farm and although the meaning of the it kind of went over my head as a child, I get it now. That Isaiah 1:21-23 scripture you shared makes me think of this country I live in. I suppose that scripture can very well be addressed to many countries today. Some political leaders, even some religious leaders, used to actually feel similar to how you feel Tim, at least before they got in power or in high position. They were for the people for justice and liberty for all. If it wasn't their sincere feelings it's certainly how they sold themselves to the public. They remind me of a part of The Lord of the Rings, strangely enough. How the ring once it was in a person's possession, it revealed their true heart intent and brought out the true evil in them and they became a different person. Many are like that today in government and in leadership positions in the church. They want their "Precious", which for many is high position, titles, riches, glory even, and once they get it we see them for who they truly are. Those who actually never had any good character or morals to begin with, their new position only enables them to amplify the rotten character they already had. What you wrote about waiting on justice is true, Tim, sometimes we have to simply wait, it is coming but it will be from God. It reminds me of this scripture in Job 35:14, "Although you say you do not see Him, Yet justice is before Him, and you must wait for Him." You are right about praying for leaders, good or bad ones, even all men we're told to pray for, 1 Timothy 2:1-3. I need to keep that in mind and do it often. Thanks for sharing this with us Tim, it was a pleasure to read. I'm just rereading your comment, and am really intrigued about your LOTR comment about the ring revealing the hidden evil in even the best of people. I never thought about that at all. What does the ring represent? I think you should write a post on that. Hope you're doing ok.